Now that we know for certain that Darth Vader will be appearing in Rogue One: A Star Wars Story, EW has gone ahead and revealed further details on the main characters in the standalone film. 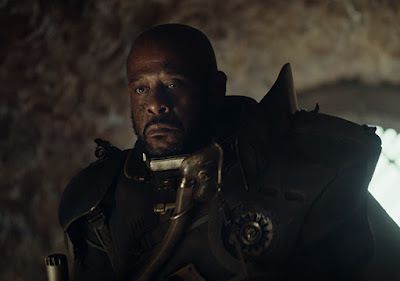 While most of them are brand new to the canon, it's now known that Forest Whitaker's character is a familiar one to fans of the animated series, The Clone Wars. Whitaker will be playing Saw Gerrera, who debuted in the second episode of The Clone Wars' fifth season. 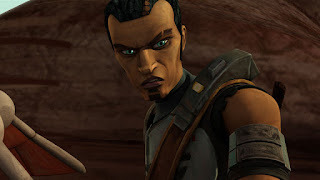 Gerrera was a rebel fighter who along with his sister Steela led a faction on the planet Onderon. He's referenced in the recent Star Wars prequel novel, Bloodline, in which his actions are considered to be terrorist in nature. If that means he'll be more of an anarchist in the film, then that would indeed be intriguing. A breakdown of each character can be found here, but it's mostly stuff that has already been revealed. Rogue One: A Star Wars Story opens December 16th.